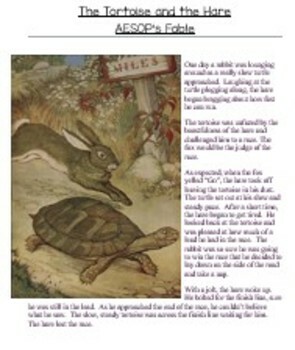 Using Aesop's Fable - The Tortoise and the Hare, students are asked to read a passage with the fable and answer reading comprehension questions. 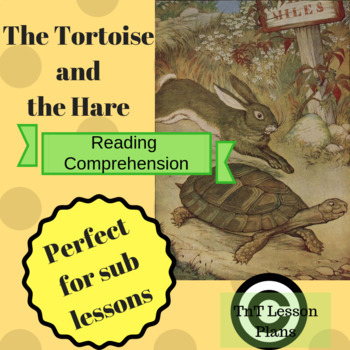 This lesson is ready to download and use. 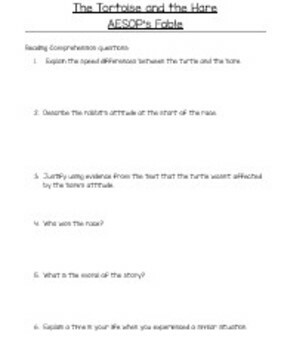 Perfect for a quick substitute teacher plan.